Project: "Implementation of effective European systems of the social economy functioning in the field of bringing adults with autism into the Polish labour market" is a transnational pilot project to be conducted between November 2010 and December 2012 in Mazovia region. It is estimated that about 30 000 people with ASD (Autism Spectrum Disorder) live in Poland, of whom 10 000 are adults. Because of their communication, functioning in society and adopting to new places and situations difficulties, this group is at risk of being socially excluded. According to the declaration of European Parliament from 1996, persons with ASD have full right to employment and trainings adjusted to their abilities and to receive an income sufficient to meet their living needs. Many persons with ASD have proper abilities and qualifications to perform a job and some of them (so called High functioning persons with autism or Asperger syndrome) are able to perform advanced tasks (e.g. in IT sector), however Polish Labour Market is still unavailable to them. Potential employers are not prepared to employ people with ASD, mainly because they have limited knowledge of Autism and possible benefits resulting from their employment. Special potential of persons with ASD is not properly explored, even though it combines of qualities highly appreciated by employers. These characteristics are: extreme patience, attention to details, ability to identify mistakes, technical and informatics skills, etc. As an effect, the majority of persons with ASD remain inactive in their professional life and they stay at home or sheltered houses. Unfortunately it concerns also persons who are capable of and motivated to work. As far as we know not many people with ASD have started to work on the open labour market in Poland. 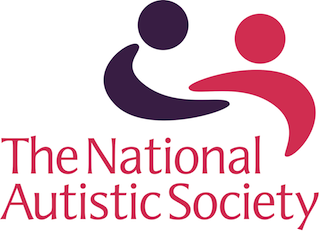 According to data on vocational activity with regard to diagnosis type, only 4 on 248 adults with ASD have been working which is only about 1,6 % of all tested (the survey has been conducted in 2009 within the national project "Support of persons with autism"). What is more, those 4 people had Asperger Syndrome diagnosis. When it comes to facilities or enterprices which hire persons with autism in Poland, the largest employment rate is provided by specialistic professional activity works – Different Things Workshop of SYNAPSIS Foundation. The key to improve situation is to find successful tools for educating persons with ASD and advisory for employers, as well as means of introducing persons with ASD to the labour market as valuable and attractive employees. 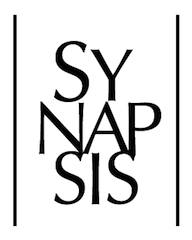 As none of Polish organizations has not been experienced in this field yet, SYNAPSIS Foundation has made a partnership with 2 organisations from EU, which have long experience and knowledge in successful introduction of persons with ASD to the labour market. Our project's aim is to promote the idea of employment of Persons with ASD among employers and to pave the way for persons who are seeking the job (by preparing 10 persons with ASD from Mazovia Voivodeship to perform IT and office work, providing them with trainings and proper support as well as preparing Individual Programmes of Professional Growth). This Project is not aimed at providing services characteristic for employment agencies. Project should provide us with answer, whether introducing persons with ASD to open labour market – with help of tools of our transnational partners or working out our very own tools – is possible at all in our country. The most important result which is planned in our project is to develop a model of innovative solutions for employment support with help of international partners and the strategy of its implementation which will eventually result in improving the situation of persons with ASD on Polish labour market. The main aim of the project is to improve the situation of persons with autism and Asperger Syndrome in the Mazovia Voivodeship. Thanks to cooperation with international partners who have been successfully working in the field of employing persons with ASD it will be possible to implement innovative solutions for supporting employment from Denmark and Great Britain which have not been introduced to Poland yet. The planned project is a pilot project, it will be covered by a group of 10 people with ASD. Final version of innovative model of solutions, including paper publication, which will be afterwards implemented into mainstream politics. What is more, a website and number of various promotional and informal materials will be created as an outcome of the project. This will result in growth of consciousness of this subject among citizens. Growth of knowledge about this project among employers. The project is directed primarily to high functioning people with autism or Asperger syndrome who wish to work professionally, but because of the current situation on the Polish labour market - the lack of support for these individuals, as well as potential employers – they stay without employment. The second key group of recipients of this project are the employers themselves, who often do not know the benefits of employing people with ASD. Lack of adequate information often results in fear of their employment, contributing to a lasting inactivity of this group. The leader of the project is SYNAPSIS Foundation, which is one of the largest charitable organizations. For 20 years, it runs the full spectrum of activities for people with autism, from diagnosis through treatment, education, counseling, direct care, to the advocacy activities. Foundation for many years tries to bring people with ASD on the Polish labour market. It has already conducted a number of projects, including transnational, which helped to develop new solutions for the employment of people with ASD. Previous projects focused mainly on sheltered workplaces, and this project is the first attempt at placing people with ASD in the open labour market. Different facilities are functioning within the Foundation: kindergarten, Centre for Children and Adults with Autism and their Families, Social Enterprise – Different Things Workshop. Partners bring knowledge, experience and skills necessary to implement the project in Poland.